Handmade three dimensional note card with blank writing space inside so you can write a note. Perfect all occasion card to reconnect with an old friend or perfect for saying hello! Colorful floral background with dimensional lowers and gems. 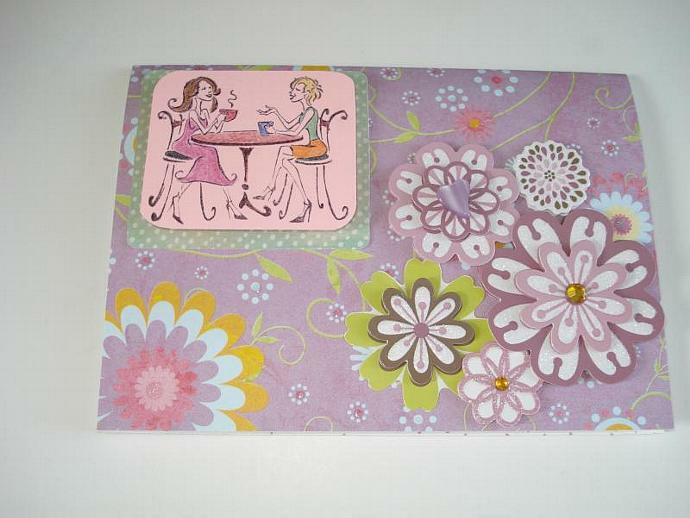 3D floral accents make this card POP! Inside has a touch of 3D floral. Over all: 5.5" X 4"